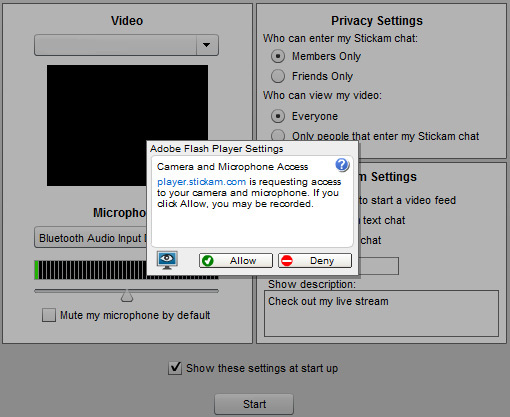 How to play Fake Webcam Video in STICKAM? After login, 'Allow' Camera and Microphone Access. Select 'Fake Webcam Source' from the dropdown list and click 'Start'. You can also select your camera from the 'settings' button.